I can hardly bear to see the images and videos of the aftermath. I felt the words to a prayer in the storm. Last week Hurricane Harvey ravaged Houston, TX and the destruction is still being discovered. I can’t wrap my head around what it must have been like to be on the rooftop with your babies. Would anyone come to save us? When would the rain stop? I feel confident that in that situation, your mind zooms in on what really matters in life. And you clutch your loved ones as tight as you possibly can. Today I looked ahead to the weather forecast as I have friends and family in Florida, preparing for the worst. Many are boarding up and then leaving, hoping for something to remain when they return. I can’t imagine their thoughts and feelings. I try. But I’m certain that I come up short. 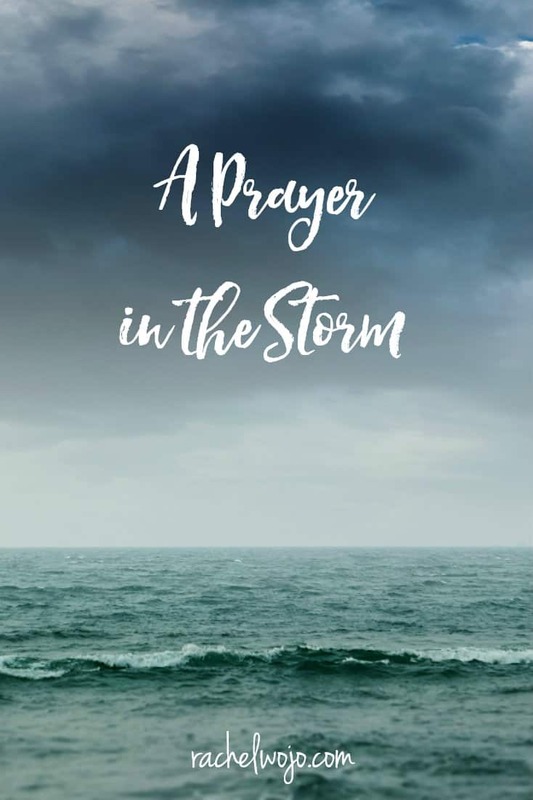 While I’ve not witnessed severe hurricanes, and though I’ve tracked tornado winds from my basement, the worst storms of life rage all around, sometimes unseen and unnoticed. It’s not until the damage has been done that we realize the severity of the storm. Whether emotional, spiritual, or physical, the storms of life rage and wreak havoc. But there’s the Master of the storm. Thank you, Jesus. I’m calling out to the Master of the sea today. 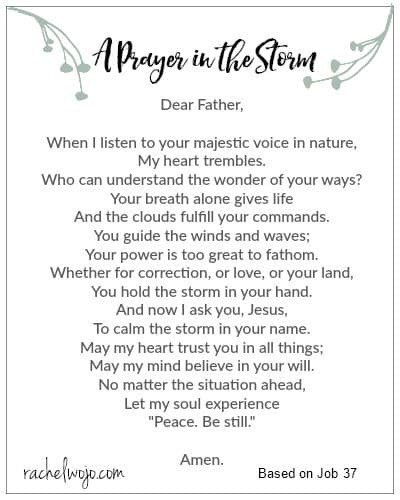 Feel free to use a prayer for the storm as your own. Who can understand the wonder of your ways? And the clouds fulfill your commands. Your power is too great to fathom. You hold the storm in your hand. To calm the storm in your name. May my mind believe in your will. Yes, our God is Bigger …….. thank you for this beautiful prayer and your honesty, as always!! The storm is absolutely overwhelming right now for me. My husband had a hemorrhagic stroke in June. He is home now and full care. The days and nights are long and unending. He has made such progress and for that I am so grateful. But my soulmate of 33 years can’t have a conversation with me. He has no bowel and bladder control. This so active, strong man of God is just a whisper of who he was. 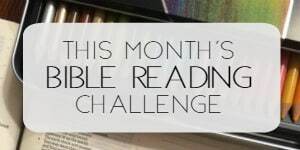 I believe in his total restoration, but the waiting and serving are wearying. Today was particularly hard. His company is terminating him at the end of the month and he has no idea. He poured himself into that company, for what? Our 22yo son is working 2 jobs to support me and my 19yo (who put off college to be home and be my muscle) and my 12yo until we hear if disability will come through. It is a hard storm. Looking for the peace in the midst of it. How do you do it, Rachel? I will keep you and your precious family in my prayers . I too have watched a big strong man become a “whisper “. Don’t take your eyes (heart ) off Jesus. He will get you through this storm. God Bless You my sister in Christ. 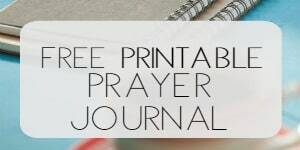 I will be adding you to Our prayer ministry prayers at my church and my daily prayers. Thank you, Mary. I so appreciate the prayers! God bless you. Thank you, Krista. Awesome verse! oh Lori, my heart aches for you. When you see me saying that I rely on the Lord for every step, I truly mean it. There is no other way. Every breath is a prayer and when I feel myself straying for total reliance on the Lord, I hurry back to his arms and his heart. My prayers are with you today!! Thank you, Rachel. Yes, I can understand that ‘every breath is a prayer.’ I have to say, this whole event has drawn me closer to the Lord like never before. I appreciate the prayers! I feel for you Lori. 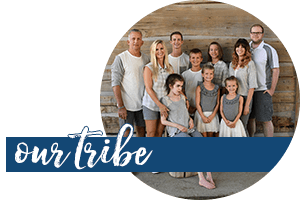 My husband collapsed and went into cardiac arrest in July. They took too long to resuscitate him, and his brain got damaged. He never woke up. Passed away a month later. He was only 45. I ask myself whether I would still want him with me, like your husband, or if God took him from me because that’s what was right for me. I believe that God has a plan for all of us, and He will get us through the path that He has laid out for us. Keep praying, He does answer prayer. Be strong and courageous. Oh, my dear Chantelle! I grieve with you. I often wonder how things would be different if the Lord had taken my husband that night. That is what the neurosurgeon actually expected and bluntly told me so right before surgery. But, God had and has other plans. My husband was known in Neuro ICU as the ‘Miracle Man.’ Even after a relapse after rehab of hydrocephalus and aspiration pneumonia, he still miraculously came through. So, I truly am amazed and grateful. But, like you, I do wonder what life would have looked like had the outcome been different. I am sure you have had to become intimate with ‘strong and courageous.’ I am praying for you and your family.